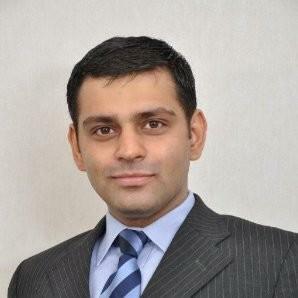 Cyril Amarchand Mangaldas Delhi partner Harsh Kumar, who had resigned in September, has joined Shardul Amarchand Mangaldas. The 2005 NUJS Kolkata grad had begun his career at what-was-then Amarchand Mangaldas, returning to Cyril Amarchand only in 2015 after a one-year stint in London, a year at AZB & Partners, and six years at Khaitan & Co.
Why is CAM bleeding like this? Reeba, Yash, Nivedita and Arjun.... time to move guys! What is that comment? Makes no sense. Are you saying no one has quit SAM in recent past? Are you saying SAM has not hired people from second tier firms or dead wood from other firms including CAM? Koi bhi aakar Kuch bhi likhta hai.lawyer leave and join other firms all the time across the world for better opportunities and growth and no one is saying that moving is the only way for getting better opportunities and growth but it is one of the ways. Have you not heard, change is the only constant. AZB, Khaitan, CAM, SAM. How long at SAM before he realises the bus from Okhla is the way out. Ping Pong Ping Pong - CAM - SAM - AZB, AZB - SAM - CAM. Really boring now! Big loss to CAM Delhi! Congrats Harsh! You are an asset. Great guy! Great guy and a great lawyer. Best wishes to him on his stint at SAM. Loss to CAM and a great pick by SAM! Ye sab Kya hai Bhai log? Yaar both firms are bleeding equally. Ab to Gale Milo Bhai log!!! Stop this CAM and SAM!!! Ya, it'll be a ghar waapsi of sorts. A Karan Johar movie rather. What about SC? Why no news on him yet? Is he moving to Advaita? CAM to SAM what will change Harsh? How will your life be better.